Superbly presented and extremely well cared for twin Diesel engined 4 berth Cruiser with a host of upgrades including heating, a good size shower with Hot water, new upholstery, gas system, radio and 6 speakers, wiring, battery charger and stainless side rails. The hull is original gelcoat and the topsides have been painted in 2 pack paint. 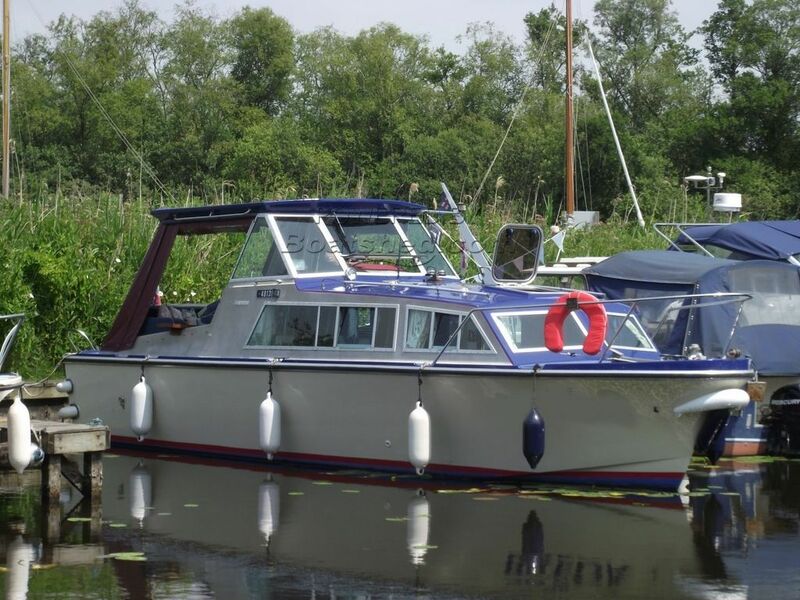 A lovely looking boat that has a 4 year BSC and is Broads Licensed. The mooring is available (paid) until October 2018. This JGM Madeira 27 has been personally photographed and viewed by Gary of Boatshed Norfolk. Click here for contact details.